Dual-diagnosis rehabs help patients recover from conditions known as co-occurring disorders. These conditions are characterized by a simultaneous substance use disorder and a separate mental health issue, such as depression, anxiety, bipolar disorder, PTSD or other. Data from the Alaska Mental Health Board indicates that more than 16 percent of Alaskans suffer from depression and thousands more struggle with co-occurring drug or alcohol use disorder. 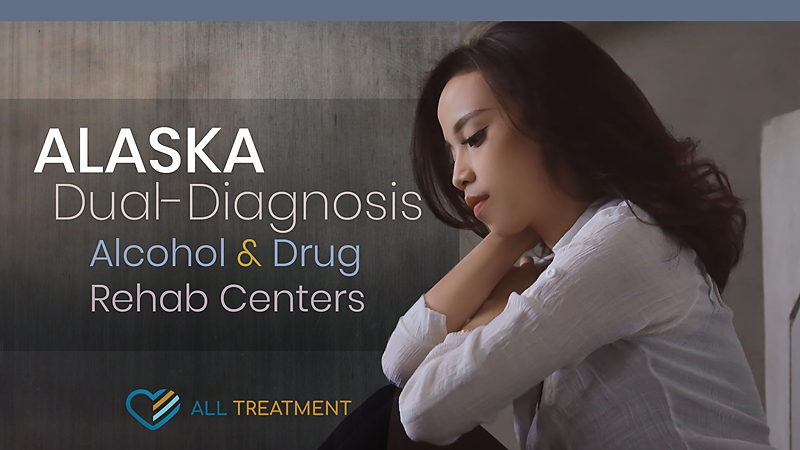 Although the state’s rates are lower than those of the general population, co-occurring mental illness and addiction continue to plague practically every portion of Alaska, leaving more and more residents in need of help that they often fail to receive. Dual-diagnosis rehabs simultaneously help patients address the medical issues of their substance use disorder while focusing on the mental health issue that may or may not be related to it. These facilities can either be inpatient, outpatient or partial hospitalization. Programs generally include group therapy, individualized counseling, and supplemental therapies.